This Broadcast is Presented in HD thanks to White, Greer, and Maggard Orthodontics. @WGMOrthodontics #WGMOrtho Twitter - @PrepSpin Instagram @PrepSpin Facebook - facebook.com/prepspin PrepSpin is a FREE community service that helps high school student athletes get noticed by college coaches thru our coverage. We depend on local advertisers to help keep our channel and service going strong. #WeArePrepSpin Follow us on Twitter @PrepSpin Copyright 2014-15 PrepSpin.com - All rights reserved. 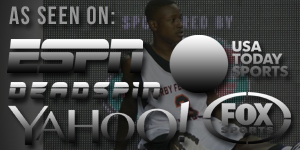 Any music on this broadcast is incidental to the production and no ownership by PrepSpin.com is expressed or implied.